Google argues that extending the law could turn it into a tool for censorship, in "less democratic" regimes. France's regulator said that Google is currently not respecting the rights of citizens to have information erased. At the time, the ECJ ruled that information deemed "inaccurate, inadequate, irrelevant or excessive" should be delisted. While the content remains online, it cannot be found via online searches of an individual's name. France's Commission Nationale de l'Informatique et des Libertes wants the court to clarify whether the delisting should extend beyond the French version of Google's search engine to all versions across the world. Google's position remains unchanged from 2015 when lawyer Kent Walk said in a blogpost: "No one country should be able to impose its rules on the citizens of another country, especially when it comes to linking to lawful content. "Adopting such a rule would encourage other countries, including less democratic regimes, to try to impose their values on citizens in the rest of the world." It will urge the Luxembourg court to "limit the scope of the right to be forgotten". "European data regulators should not be allowed to decide what internet users around the world find when they use a search engine," Thomas Hughes, Article 19 executive director said. "If European regulators can tell Google to remove all references to a website, then it will be only a matter of time before countries like China, Russia and Saudi Arabia start to do the same." 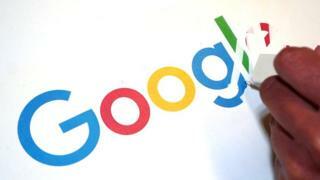 Previously Google has said this would give "carte blanche" to people who might wish to use privacy laws to hide information of public interest, such as a politician's political views or a public figure's criminal record. "This would effectively erase the public's right to know important information about people who represent them in society or provide them services," the firm said in a blogpost.